Granger Texas Equal Before The Lens Cover. 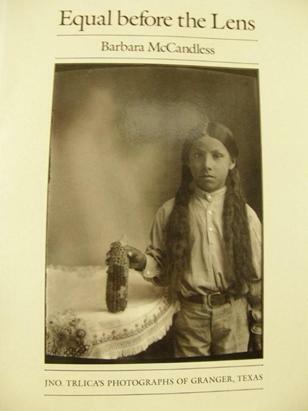 on the cover of "Equal before the Lens"
“While doing research on my family history I ran across this article. It has a picture of my Uncle holding an ear of corn with a cross on it. The article says it is a girl by the name of Louisa Escobedo. It is actually Louis Escobedo. "I am working on getting a picture of my Uncle. My Aunt Jane is trying to make arrangements to go to Fort Dodge with the ear of corn to take his picture. 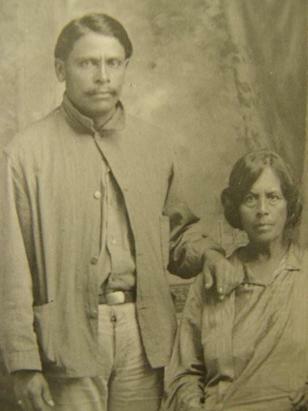 I would also like to let you know that there is a picture of my grandfather with his mother in the book. It is under the couples chapter on page 149. Their names are Jose Escobedo and Canuta Moreno Escobedo. My family lived in Granger from the early 20's to the mid 30's. My uncles Louie and Greg both have lots of memories of living there." 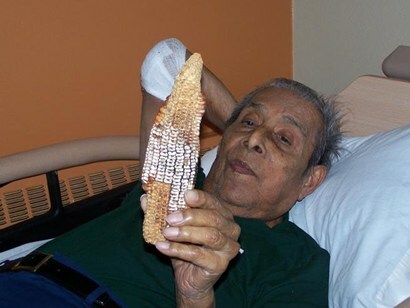 My Aunt was finally was able to get a picture of my Uncle Louis with the ear of corn (which has deteriorated greatly from the last time I saw it a couple of years ago). She also made a recording when she visited him. Louis is still real sharp and remembers a lot. He is temporarily in a nursing home at this time.